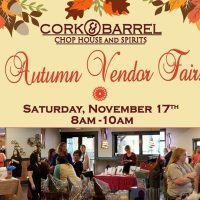 What better way can you think of to kick off the Holiday Season than by shopping with local vendors, eating a delicious breakfast and drinking mimosas and bloody mary's with your friends? 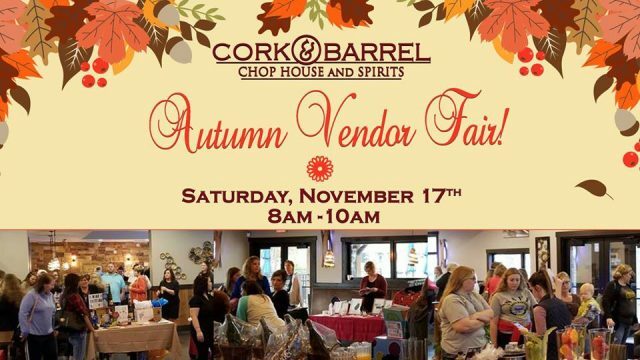 Cork and Barrel is excited to host our 2nd Annual Fall Vendor Fair! $15 includes your admission, a light breakfast buffet, and your first mimosa! There will be 20+ Vendors to purchase from! We hope to see you here!